The City of Beaver was first settled in February 1856, its first citizens ready to start a new community in Beaver Valley, in the newly created Beaver County. Under the leadership of Simeon Howd the first fifteen families came from the nearby town of Parowan. Beaver was incorporated as a city on January 10, 1867 with John Ashworth as the first mayor. Though possibly meeting together previously, the first City Council minutes begin in December 1880. 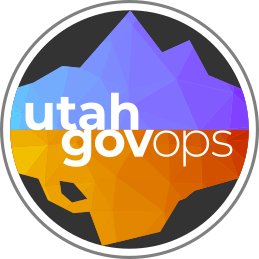 Utah municipal governments perform functions such as providing public services and maintaining law and order. By ordinance, the Beaver City Council is the legislative and governing body of the City. Duties of the Council include drafting a yearly budget, writing and passing ordinances and resolutions, arranging for an annual audit by an accountant, determining the tax levy and appointing election judges and locations (Beaver Codified Ordinances (1982), chapter 7, series 13139). With a Manager form of city government, the city manager is a professional hired to see to the day to day responsibilities of running a municipality. The Mayor and City Council together form the executive and law-making body for the city. The council first worked on revising and codifying ordinances in 1881. Individual departments have been created as needed to assist in the running and maintenance of city services, some positions have included marshal, watermaster, electrician, power plant operator, and sexton. In 1885, in response to a request from the Salt Lake City Land Office a census of Beaver was conducted, discovering the number of citizens to be 1,915. The turning of the twentieth century signaled years of progress with the development and installation of telephone, railroad and electric services in rapid succession. Of particular note is the Electric Light Plant funded and maintained as a municipal public utility for the benefit of Beaver. In 1906 the citizens of Beaver celebrated the fiftieth anniversary of settlement with a full program of remembrances of those early pioneers, including speeches and music. Beginning in the second decade of the 1900s, paving and other road building or maintenance issues continually became more important to the City Council's work. The growth of the automobile meant more work in paving, traffic, line painting, parking, "semaphores" or traffic signals and speed limits. Beaver worked as a city to clean its appearance up in Clean-up Paint-up days as in 1928, campaigns by civic groups to remove noxious weeds and keeping ditches clear. Such beautification efforts have been a continual occurrence in Beaver. As often sponsored by the City Council, holidays and celebrations were a fun diversion. The local post of the American Legion was one such group to suggest what to plan for July 4th, and even dance halls could stay open all night July 3, November 11 (Armistice Day) and December 31. And almost every year February 6 was honored as the first day of settlement with programs or early out school days. Though 1931 saw a grand celebration of the 75th anniversary of settlement, the remaining decade was marked by continual financial shortage, city employee wage cuts and bonds to cover the difference. In 1932, Beaver put in an application to the Reconstruction Finance Corporation, and ten years later took advantage of the services of the Rural Electrification Administration to build a new power plant. To help those who were unemployed or getting behind on their utilities bills, city leaders created a civil work program, often working with the Works Progress Administration. The last half of the twentieth century signified growth, expansion and change for Beaver City. The City Council debated how to use the position of city manager several times, with even the mayor serving as such for awhile. Eventually they settled with the current model of Manager by Ordinance. With thriving local businesses, city leaders encouraged tourists and others passing through to stop, especially by way of signage on highways and the new interstate freeways built in the 1960s. While in previous years the city council had worked with others to build landmark public buildings, these later years saw new uses being applied, and much effort and resources being spent on maintaining those of historic value. One example is the Opera House, renovated in the mid-1980s, which became an all-purpose civic center, with classes for enjoyment and improvement of the city's inhabitants. The Council also kept a close eye on finances, as the city grew the budget and audit procedures became more complex. To provide services to newly developed neighborhoods, the city often used annexation resulting in fluctuating city boundaries. In contrast to the nineteenth century, the services provided by a city poised for the twenty-first century had become almost indispensable to its 2,454 citizens. Beaver Utah official web site, June 2003. Bradley, Martha Sonntag. A History of Beaver County, Salt Lake City: Utah State Historical Society and Beaver County Commission, 1999.